If you love Pokémon, you won’t be able to resist this adorable Nintendo 2DS XL. 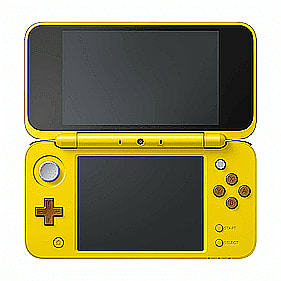 Carry your favourite Pokémon with you - Pikachu is designed onto this Nintendo handheld device. The design adds a unique twist to the already favoured console and the 3D features enhance this product! The larger 4.88-inch screens on the Nintendo 2DS XL also offers the same features as the 3DS but in a sleeker package. Play all your favourite Nintendo games in 2D on the Nintendo 2DS XL Pikachu Edition Console. With even more control options than before and an improved processor, your games will be able to run quickly and smoothly. What more? 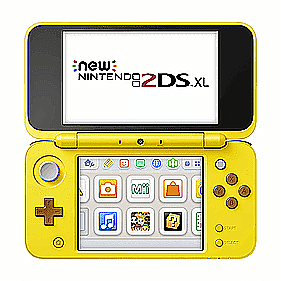 The Nintendo 2DS XL Pikachu Edition Console is backwards compatible meaning you can play Nintendo 3DS and Nintendo DS games all on this console*. Try and catch ‘em all as you play all of your favourite games on this device. 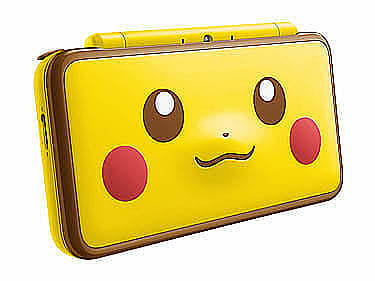 Do it in style and buy your Nintendo 2DS XL Pikachu Edition Console today to take Pikachu with you. Get a peek at Pikachu on this! 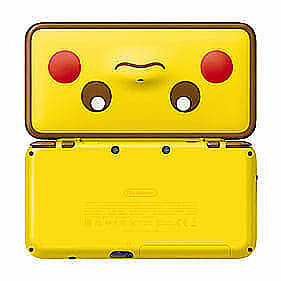 The Nintendo 2DS XL Pikachu Edition Console has all the wonderful features of the new 3DS system as well as being designed to look like Pikachu! This is the ultimate device to add to any Pokémon fans collection. This is a new kind of Nintendo but with all your favourite features from the 3DS. Feel no limitations with the wider screens so you can see more of the fantasy worlds! Enjoy your favourite Nintendo games on the large 4.88-inch screens and the improved features of the Nintendo 3DS. The Nintendo 2DS XL offers more control options than before with new buttons and the C Stick so you can interact with your games even more! Near-field communication has been designed into the bottom screen so the Nintendo 2DS XL Pikachu Edition Console can support amiibo’s too! Enhance your games in fun and surprising ways. Forget about the worry of buying all your Nintendo games again, because the Nintendo 2DS XL is backward compatible. This means you can play 3DS and DS games on your 2DS XL. * Play all of your favourite games on larger screens and buy the Nintendo 2DS XL Pikachu Edition Console today. *Whilst the console is backwards compatible, the Nintendo 2DS XL does not play Nintendo DS games that require accessories.